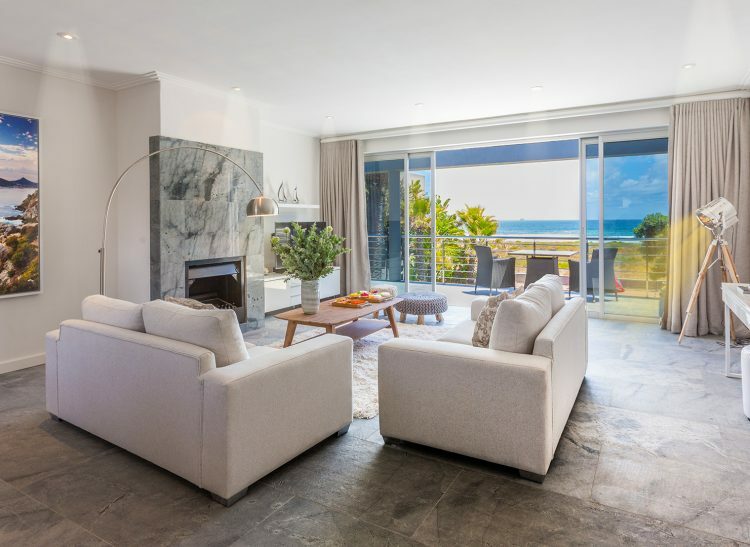 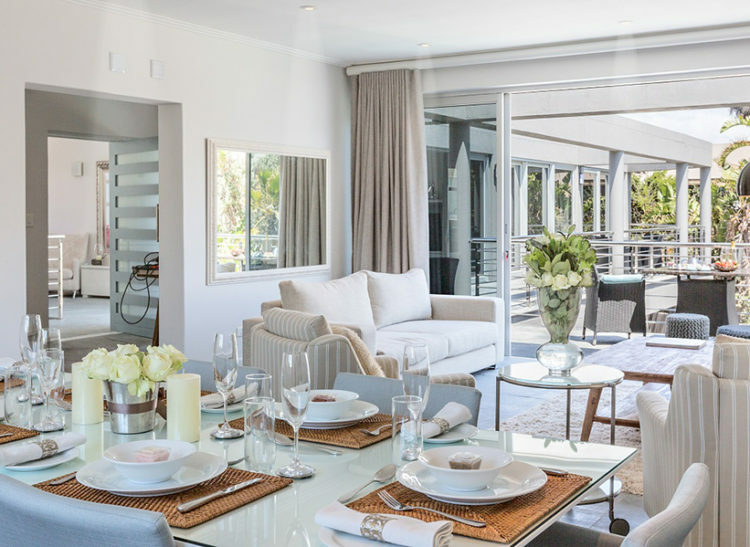 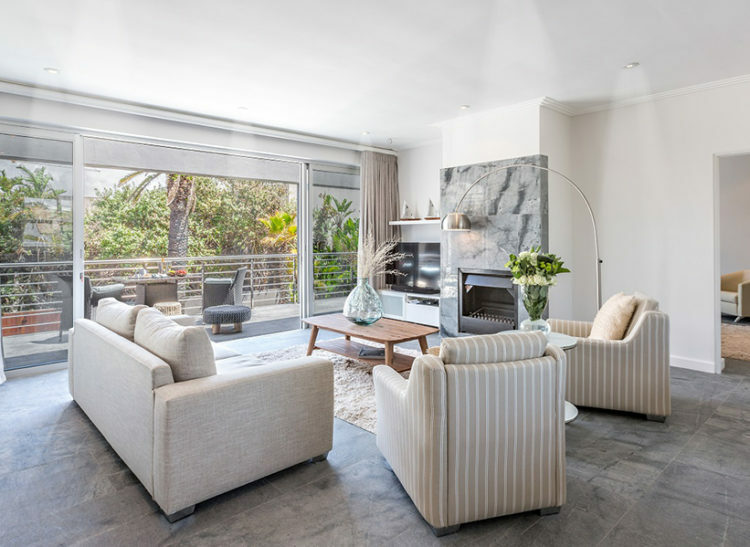 This super luxury 2 bedroom apartment is situated on the ground floor with sliding doors opening up onto the deck and swimming pool. 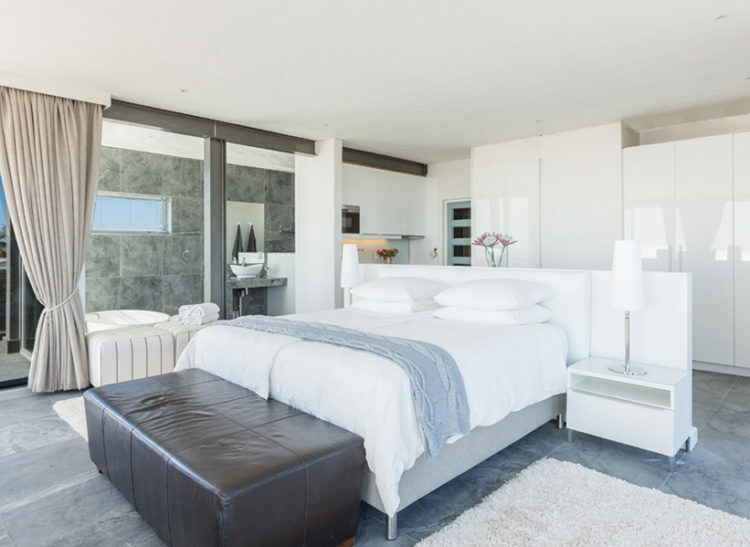 Sleeps 4 people, however – the main bedroom has a daybed that a child could sleep comfortably on. 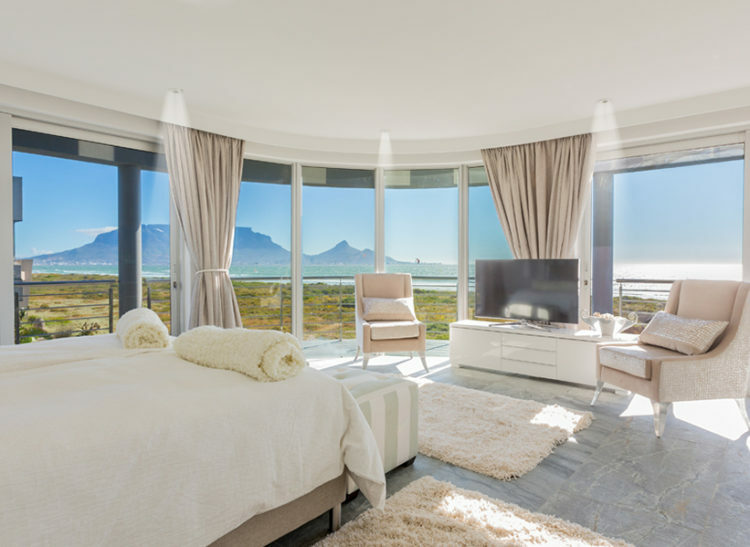 Stand in the shower, and have a full view of Robben Island, and the Atlantic Ocean.